Darren Chapman, founder of TigerMountain Foundation, grows hope for a healthy future in his community garden. Incarcerated a total of eight times over 15 years, Darren Chapman sat in a maximum-security prison cell at age 25 and thought of happier times. 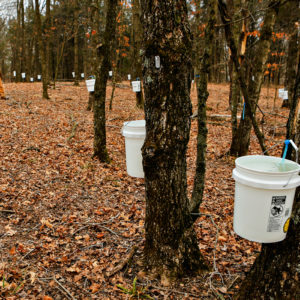 After Chapman’s final release in 2005, he followed the example his grandfather had set and established TigerMountain Foundation (TMF), an organization that focuses on working the land and producing sustainable foods for the local economy, while also creating a sense of community. 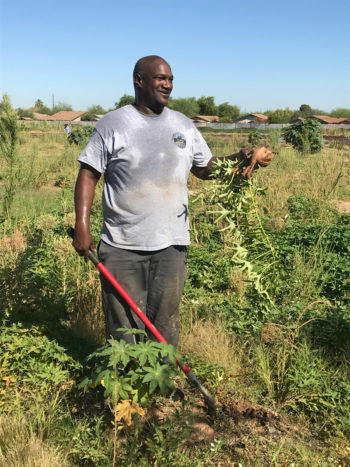 Today, in an undeveloped industrial plot in an urban neighborhood in the middle of South Phoenix, an unlikely scene plays out: Volunteers scrape the earth to uncover sweet potatoes. Vendors sell kale, cactus, and red and green peppers in a small space outside the garden’s entrance, their wares lined up on picnic tables covered with bright tablecloths. 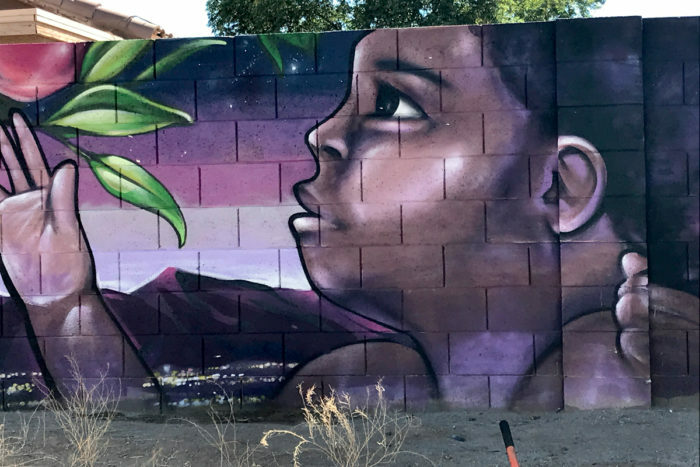 A colorful mural depicting a young child holding a plant covers a nearby wall, setting the ambiance, and a local DJ spins Beatles songs. Working in the TigerMountain garden. 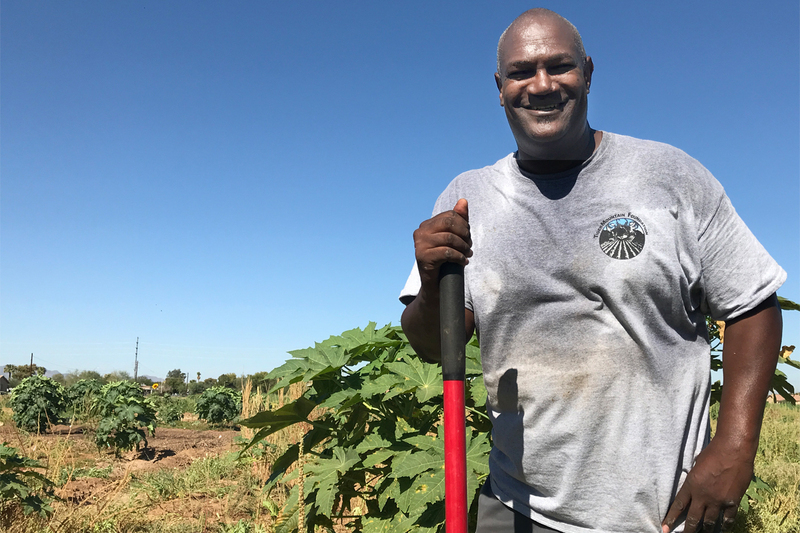 TMF focuses on four community gardens, ranging in size from 1.5 to 18 acres and growing squash, melon, okra, onions, and tomatoes, among other crops. 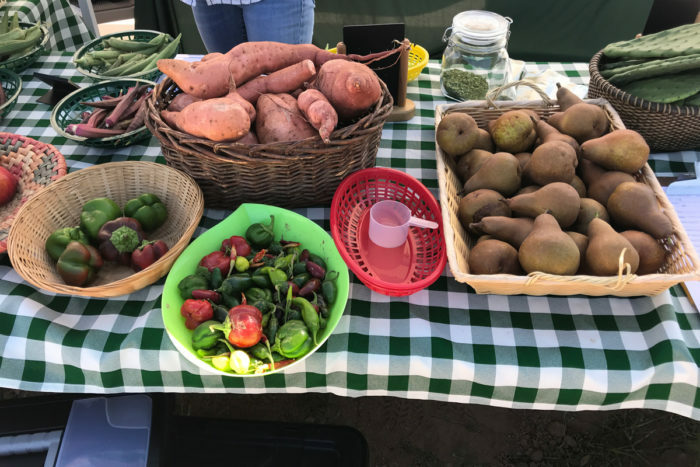 The nonprofit provides produce for more than 12 local farmers’ markets and grows specialty crops requested by local restaurants. Gardening is only one aspect of the nonprofit, however. Chapman actively recruits the formerly incarcerated and people who grew up with hard lives surrounded by high-risk behaviors. TMF teaches participants practical, on-the-job landscaping skills, which include property cleanup, installing and repairing irrigation systems, and working on the garden’s overall design, in hopes they will develop a strong work ethic, spark ideas for a micro-businesses, and become financially literate by learning what it takes to harvest, grow, and sell produce. So far, Chapman says TMF has launched more than 1,000 entrepreneurs in various businesses. As founder and CEO of TMF, Chapman—now 53—focuses on a little bit of everything, from carrying out administrative duties to clearing the land to encouraging volunteers to absorb the philanthropic vibes in this South Phoenix community space. Though the TMF garden produces food for the community, the connection with the land is also intensely personal for Chapman. It is how he escaped the prison pipeline. Chapman grew up in a rough neighborhood where it was easy to make “horrendous choices and fall into criminal activity like gangs and drug dealing,” he says. He didn’t have the benefit of a “nuclear family or educational opportunities, and felt a gravitational pull toward less-than-ideal decisions,” and he spent his 20s in and out of prison. Darren Chapman harvesting sweet potatoes. In this region of Phoenix, crime rates are two times higher than the national average, and a quarter of the population lives in poverty. According to one study, South Phoenix is one of the most impoverished areas in the 4.7-million-resident Phoenix region. With these systemic factors are at play, it can be difficult to resist the temptation of bad choices. Chapman attributes his evolution from inmate to CEO to the guidance of his grandparents, George Clarence “Bubba” Burnham and Jane Easter Burnham. “My grandparents were resilient, working hard to make a living,” he says. He specifically credits his grandfather for pushing him to better himself while he was in prison and to transform the direction of his life. 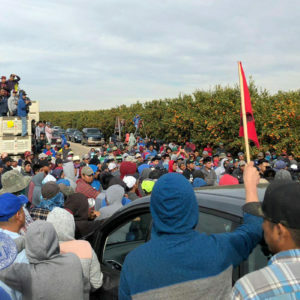 He witnessed his grandparents connecting with the land and saw how they formed a community garden in their neighborhood, where they grew plum and peach trees. “Everything revolved around building community in a natural way, through the land,” he says. Still, an epiphany like the one he experienced decades ago in a prison cell isn’t always easy to make good on. Chapman faced some resistance in establishing a nonprofit that actively recruits the formerly incarcerated and recovering addicts. “Phoenix builds character, but without a formal pedigree, establishing a nonprofit, especially such a unique one, was an uphill battle,” he admits. 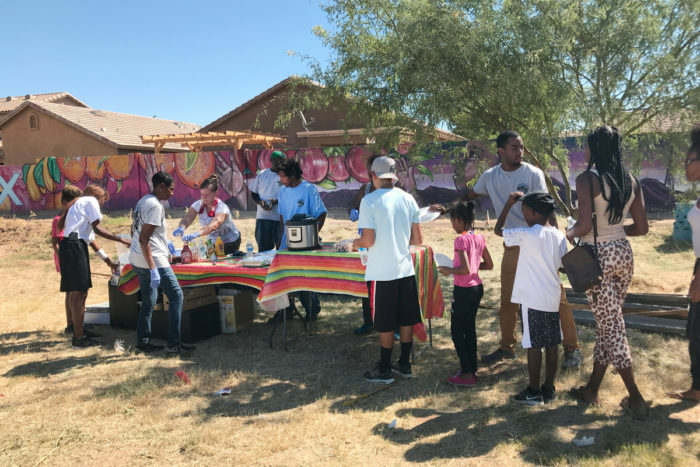 With this philosophy and Chapman’s resolve, TMF gained momentum in South Phoenix and attracted the interest of Social Venture Partners Arizona, a group of community and business leaders, philanthropists, and investors interested in funding nonprofits. 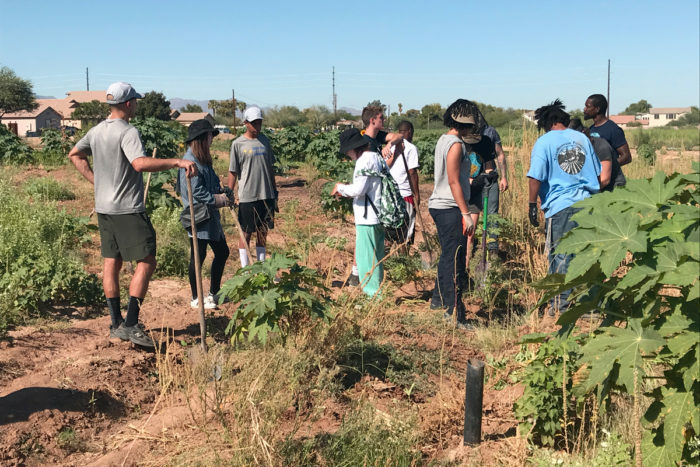 In 2013, when Chapman pitched his idea about the community garden to SVP Arizona, they awarded him funding and the operational tools to run a nonprofit. With this honor, TMF received $100,000 dispersed over a period of five years. Chapman continues to apply for various local and national grants to sustain funding for his foundation. This endorsement allowed Chapman not only to cultivate gardens, but to move beyond just growing food. It enabled him to recruit workers to help in landscaping and gardening, as well as teaching people about micro-businesses and financial literacy. A mural at the urban farm. Although TMF is unique, there are several similar projects sprouting across the nation. RecoveryPark in Detroit tries to create jobs for those who face barriers through a community farm that supplies produce to 70 local restaurants. In Chicago, Windy City Harvest partners with the local botanical garden to provide transitional jobs to underprivileged youth. Milwaukee’s Growing Power served as an example of the redeeming power of urban gardening for decades. Part of the harvest from the TigerMountain Foundation’s urban farm. But the gardens are only one of the ways people can seek refuge with TMF. Chapman’s asset-development model helps people learn about financial literacy, establish their own entrepreneurial enterprises, and foster workplace development. Christine DeMyers, an Arizona State University Ph.D. student who is studying cultural anthropology and working with TMF, explains the approach: “The goal is to make the experience multidimensional by offering people options to do a variety of work, whether it means landscaping, community gardening, or learning more about financial literacy [and] entrepreneurial opportunities,” she says. DeMyers says this grassroots organization ultimately allows people to attempt to pull themselves out of poverty by observing how to take a vacant lot or an idea and turn it into a business. 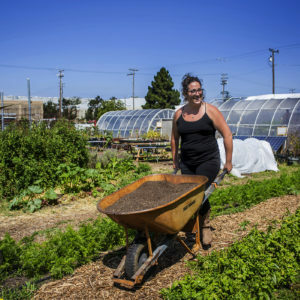 For America Lopez, the community garden space means something different. She sells sweet potatoes and other vegetables during the second Saturday of each month and also at the local farmers’ market. Jasmin Ross helps Lopez with the customers. She moved from California looking to start a new life and loves how TMF “helps to inspire people and build women’s confidence.” She hopes to start a boutique for women’s clothing someday. Chapman hopes TMF’s one-of-a-kind program is replicated nationwide. He is actively encouraging similarly situated communities in Baltimore to educate people about TMF, with the hope of enticing others with the notion of coming together through gardening, as well as educating people on financial literacy, workplace development, micro-business initiatives, and social or behavioral issues. “The response is positive, and others seem interested in what TMF has accomplished and hope to do the same in their communities,” Chapman says. Serving food to visitors and volunteers at the TigerMountain farm. As people finish tilling, gardening, and clearing branches, they head to a picnic table at the edge of the garden. Chapman’s wife, Leonara, cooks homemade meals for the volunteers and employees. Everyone gathers together, and one of the volunteers entertains the crowd by sharing his latest rap song. It’s impossible to ignore the palpable joy and togetherness in the garden. This article is good reminder that inmates can reform. This is a beautiful story of how our roots can still be part of our future and bring success to our lives. I hope he receives lots of grant money.